Seeing your children attend college is a significant milestone — a time of pride, excitement and opportunity. The experiences that shape your child’s education happen both inside and outside of the classroom. At the UW, every corner is abuzz with interactive learning opportunities that are an integral part of the Husky Experience. These experiences connect students to one another, broaden their perspectives and prepare them to be thoughtful and engaged citizens. 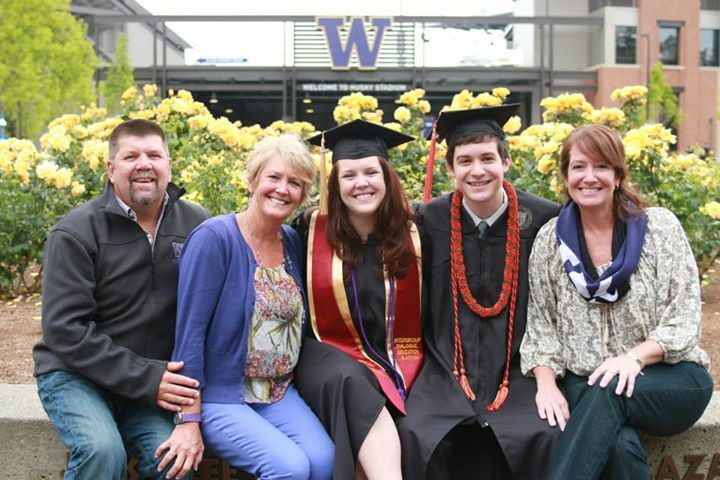 You can help foster these experiences by giving through the UW Parents’ Program. It is a great way to enrich the education of your child — and of all students — at the UW. Every year thousands of UW parents support specially selected funds that benefit all students. Parents have supported technological upgrades and new study spaces, and have created the UW Parents Collections and Programs Endowed Fund to support UW Libraries’ efforts to acquire material specifically for undergraduates. UW Parent and Families Programs encourages the active interest and involvement of parents and families in their students’ experiences. Online you can find great information about your student’s activities and wellness, learn about upcoming events to which you are invited and sign up for the newsletter! Learn more about the Parent & Families Programs.